Welcome to the future: a place where you can relax and entertain outdoors, enjoying summer evenings, sumptuous alfresco dining and a glass of wine, while a superb Barbecue cooking island has dinner completely in hand. BBQ Island isn’t the exotic location of your dreams but a British product range that is set to revolutionise your outdoor living. 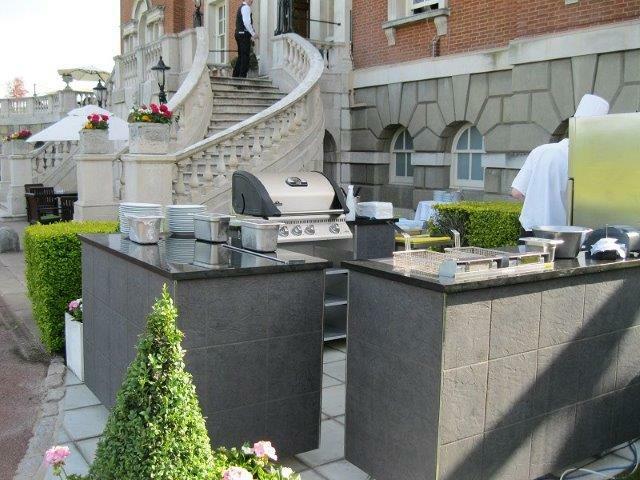 Based in Wimbledon London, we stock a wide range of Outdoor Kitchen Solutions to suit everyone’s needs. Our islands are built in modular form for ease of delivery and fitting. From compact kitchen islands to larger kitchen islands, we design, build and install to your specific requirements. Alternatively, there is a wide range of Built-in Gas Grills or Cart Model Gas grills available as well as BBQ Kitchen components and accessories. 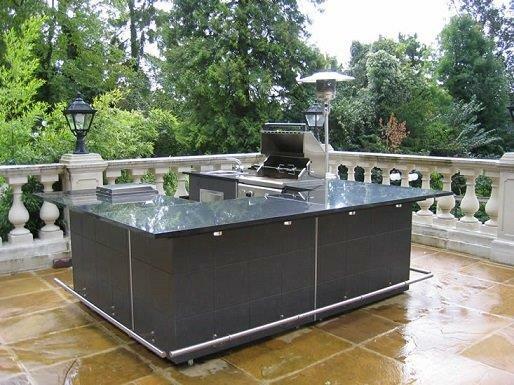 If it is a luxury BBQ you are looking for or something a little bit special but don’t have the space for a BBQ Island, have a look at our ‘Chelsea’ BBQ, a Gas Grill Built-in a granite or stainless steel finished cabinet. At BBQ Island, the concept is a modular one with flexibility at heart. Choose from a range of high-tech cooking options and BBQ Grills with Sizzle Zones and Charcoal Cooking Options, and then add your choice of stylish and contemporary facilities to really turn up the comfort zone. 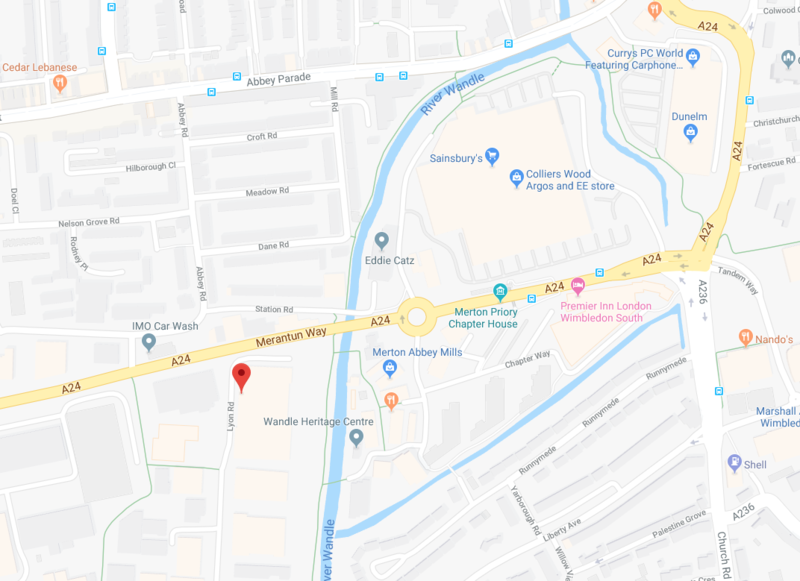 Dining and Bar areas, Draft Beer Pumps, Side Burners, Teppanyaki Griddles, Wood Fired or Gas Pizza Ovens, Sinks and Storage, Fridges, and Ice Chests. 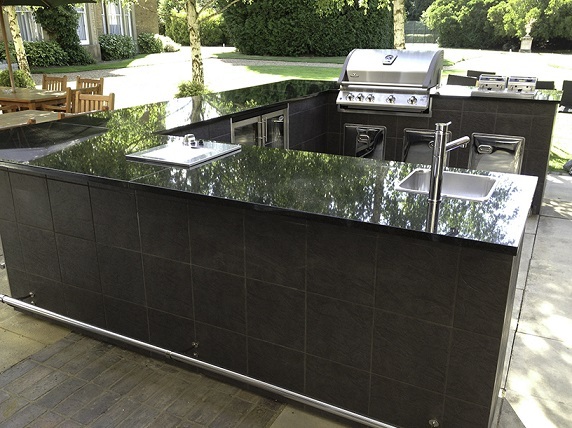 As authorised dealers for internationally renowned manufacturers Bull Products and Napoleon Grills, BBQ Island offers and extensive range of the highest quality products. 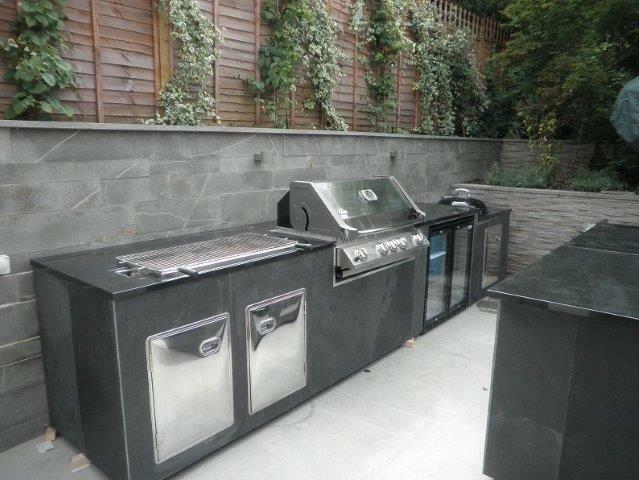 Design and installation is bespoke enabling you to style your Outdoor Kitchen around your existing garden layout. Alternatively you can choose from the range of purpose made BBQ products that are on offer. Over the last decade the kitchen has become the heart of the home, and now with the concept of the BBQ Island or Outdoor Kitchen it can extended to your Outdoor Living Space where you can enjoy the ambience of nature’s surroundings. Every BBQ Island is solidly built, with granite worktops and stainless steel appliances with attention given to the finest detail. To complete your Garden Kitchen, a new, stunning range of Italian Gas Fire Pits is now available. Turn your lifestyle unashamedly more Mediterranean and entertain your appetite! to be built within a shape and size island to suit the outdoor space and outdoor entertaining requirements.